Welcome to our blog! I first want to start out by saying THANK YOU! Thank you to our loyal customers that have helped us grow this passion into a business and a way of life for our family. Thank you to the skeptics that kept us going in order to prove you wrong. Our hopes for this outlet is shine the light on a dying breed of people that are essential to the evolution of society. Without farmers and the necessities they produce, society would shrivel. So the focus of our blog is to tell our story as first generation farmers – the good, the bad and the ugly will all be laid on the table with hopefully, a twist of humor. So to begin, Jolly Roger Ranch started as a hobby four years ago with a belief that we could provide for our family from the land that we owned and of course, trying to master the art of perfect bacon. We started with five chickens and two pigs (we will share the full background story in a later post). As the years rolled by, we turned the hobby into a business against the advice of many that surrounded our family in a professional or personal way. I have to admit, I was one of those very people. My husband, Nick Buchanan, passionately believes the “living off the land” ideology and it took some time for me to see the vision. However, I slowly bought into the farm life style and consider myself as the operational support to the “Ideas Man” that encompasses Nick. He comes up with the idea, we both conduct research and come back to the table with what we discovered to see if it is the correct step forward for our farm. 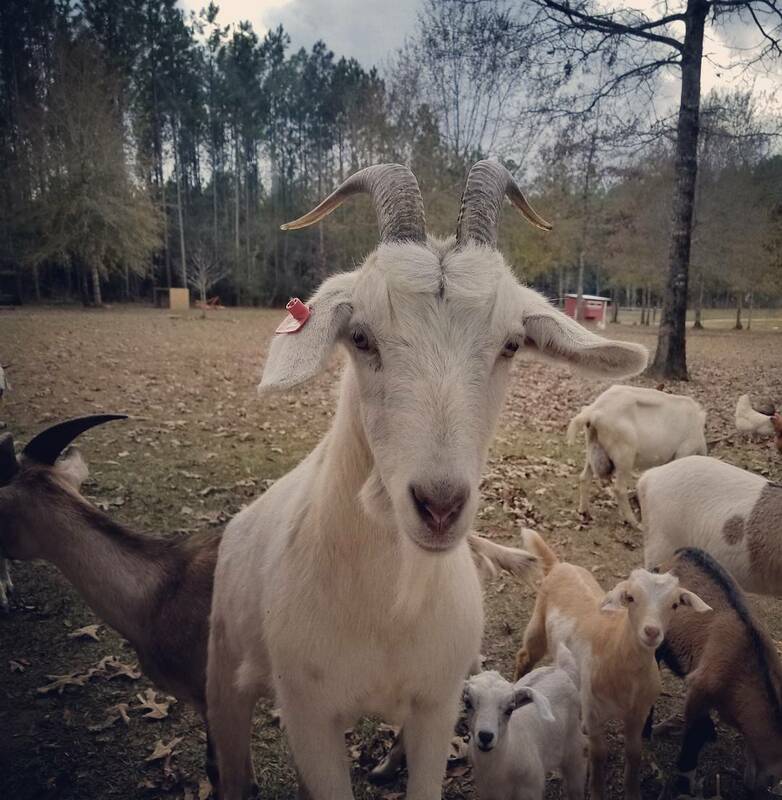 Some ideas are quickly thrown out and some take time to be fully vetted but either way, we try to make that decision as a family and with the best interest for our farm at the root. During the course of our research, we found there are many different beliefs and/or ways to treat a problems we were encountering. There is little solid evidence or literature involving some of the problems we have face on a daily basis some due to the lack of knowledge we have and others may be because the information just doesn’t exist. 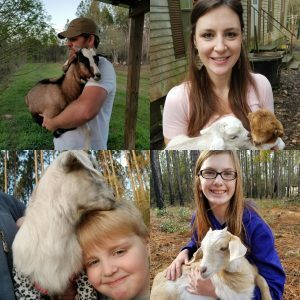 We spent countless hours researching goat illnesses, fencing strategies, chicken egg incubation processes, to name a few. We would take a few bits of information from this site, mix it with personal stories from this forum and some common sense to decide how to best move forward. Sometimes it worked and sometimes it was a complete fail. Then a thought stemmed from all of this knowledge exploration, what do we do with all of this information? If we are having this same problem with finding the information, surely there are others that are experiencing this too? If we build a network of people that have done this before, maybe we could lessen the learning curve of this thing they call farming. We quickly found this was not an easy venture, it took numerous conversations and sticking out our hands to shake that of another farmer to get our foot in the door but it certainly paid off. The fall of last year, we started to attend weekend seminars in our area where we were able to start making those connections. Over the last few months, we have cultivated those connections into lifetime friendships. It was through this process that the light bulb went off, we need to share this! So it is our intention to do just that, to bridge the gap from the older farming generation to our “Millennial” generation. It is amazing to hear folks talk from the younger age group that are so out of touch with how their food is produced, where it comes from and the work that goes into getting it on to their table. There is a huge campaign for organic and non-GMO foods that most consumers get lost in the labels and creative advertising of that the food industry and don’t understand what they all mean. So it is our mission to Farm the Gap. What do I mean this? A pun of bridging the gap between generations, we hope to be the translator of the older farming generation to our generation of consumers. By “Farming the Gap”, we hope to bring you to the front door of producers in our community, county and state and shine light one how the food you consume gets to your table. This is just the tip of the iceberg, we will bring you individual stories of each of these farms we visit plus background of our farm with highlights of our special projects and products. Please look around our website, our contact information is listed in the sidebar and feel free to reach out to us! Great blog. Very proud of y’all. Love your story and how your farm has grown! I’m all about living off the land and healthier lifestyles. Wish you and your family continued success!